The skin protects the body from harm and is also covered with billions of bacteria which are called commensal bacteria that form the microbiota of the skin. These are friendly bacteria that stay on the skin surface without causing harm. These bacteria play a role in keeping us healthy. In a new study, a team of researchers from the University of California, San Diego, have found that a special strain of the bacteria living on the skin could help protect against cancer and also help in its treatment. The study report was published this week in the latest issue of the journal Science Advances. 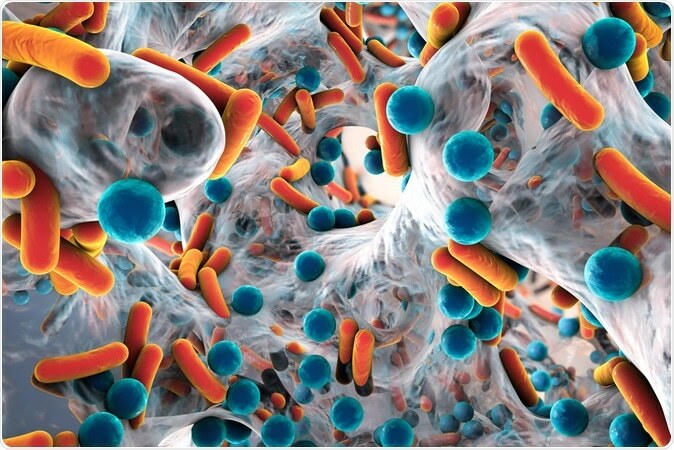 This study is one of the many studies that show the benefits of these bacteria but one of the first that shows the anticancer properties of these bacteria. Richard Gallo, a dermatologist at the University of California at San Diego and the lead author of the study said that this study adds to the fact that there are several bacteria on the skin that perform important functions to maintain our good health. He said that one of the strains of the bacteria that are particularly in abundance is the Staphylococcus epidermidis. Having higher number of Staphylococcus epidermidis over skin compared to having Staphylococcus aureus (as seen in skin diseases such as eczema) is found to be a sign of healthy skin. S. epidermidis, he bacteria that this team was studying, was found to produce a molecule called 6-N-hydroxyaminopurine or 6-HAP. This molecule was found to stop the spread of the cancer in mice when tried in the laboratories. Dr. Gallo explained that having higher number of these bacteria on the skin thus may protect a person from skin cancer due to these same properties. For this experiment, the team looked at two strains of S.epidermidis – one that produced 6-HAP and one that did not produce 6-HAP. They introduced these two different strains to two different sets of mice. Then they exposed the mice to skin cancer causing UV rays. They noted that the mice that did not have 6-HAP-producing skin bacteria developed the skin tumours while those that had 6-HAP producing strains did not develop the tumours. Now the mice who had the skin cancers or melanomas were again divided into two groups. One group was injected with 6-HAP every two days over a two week study period and the other group did not receive these injections. They noted that the tumours over the skin shrank by 50 percent among mice that received 6-HAP compared to those that did not. The team explains that 6-HAP probably prevents the formation of new DNA by replacing one of the bases Adenine on the dividing DNA. This stops the DNA replication and eventually new cell formation. Cancer mechanism involves rapid multiplication of the cells. Once that is stopped the tumour fails to grow. An existing anticancer drug called 6-MP or Mercaptopurine works using a similar principle they say. The best part of 6-HAP is the fact that it works only on the cancer cells and does not affect the healthy cells unlike most anticancer drugs, the researchers explain. Gallo says that healthy skin cells can produce a molecule that can neutralize the effects of 6-HAP and thus these healthy cells are protected from harmful effects of 6-HAP while the cancer cells alone are affected. Further studies are necessary to understand exactly how this compound acts as an anticancer agent to make it a reality in the cancer treatment armamentarium. Meanwhile Gallo advises that using harsh soaps and frequent showering can affect the skin microbes and should be avoided to let the skin microbes live and perform their protective functions.